When the West won the Cold War, they incorrectly assumed the strategy employed by our former Soviet adversaries was so fundamentally flawed their collapse was both foreseeable and inevitable. This may have in part been true, but that is not to say the USSR was a failure at everything. Our short-term memory of what Russia has long since been excellent with has prevented us from handling Crimea’s annexation with more brazen punition than asset freezes of non-existent bank accounts. As a reminder, the KGB were masterminds of disinformation. The USSR manipulated the ideas of their own citizens, as well as those of the West, so methodically, even the most fervent Patriot must acknowledge the clutch the Soviet propagandists held over the beliefs of global cognizance. My point is a simple one. 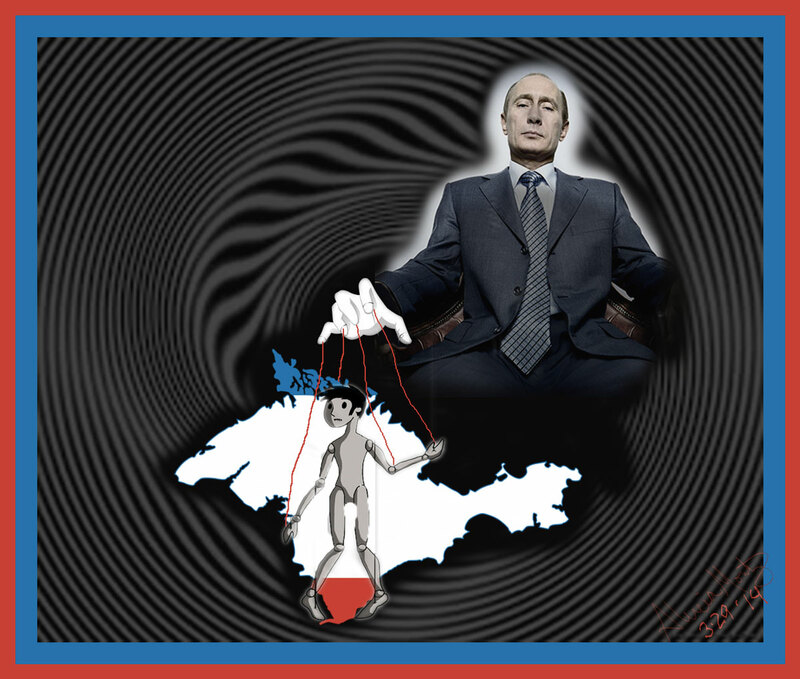 Using three distinct and non-overlapping propaganda campaigns, which have now been allowed to crystallize as fact in the mind’s of Crimean’s and their Russian speaking neighbors, we have effectively lost any ability to reverse the annexation. Why? Because to the best of their knowledge, Crimea wants to be part of Russia. What was objective reality has been ever lost and replaced with a myriad of falsehoods suitable to Mr. Putin’s agenda. It is one thing to reverse usurpation, but to do so while also having to battle the ‘will of the people’ makes for very poor foreign policy. Mr. Putin will no doubt cast the pall of American exceptionalism in a manner of imperialistic arrogance (which is more truth than anything Mr. Putin has ever said). Despite Crimea’s cessation violating the Ukraine Constitution and regardless of increasing global pressure in the form of more stringent economic sanctions, the old-fashioned cold war tactic of brainwashing has worked once again. Perhaps it is time for Mr. Obama and Mrs. Merkel (a former East German) to take note of Russia’s superb facility in this respect and act to prevent further Russian protectionism.